Strawberries Come to Essex County, Finally! Maidstone Strawberries for sale at the Lancaster Farmers’ Market, today. For years, I’ve been lamenting the lack of strawberries for sale in our corner of Vermont. We’ve got farms and farmers galore, but no one grows strawberries for sale. Four or five years ago, someone in South Lunenburg tended a large pick-your-own strawberry field for two years, then disappeared, sadly. Other than that, we’ve always had to drive over an hour south, to Bradford, Vermont for them. But now I and my fellow strawberry-lovers have reason to celebrate. 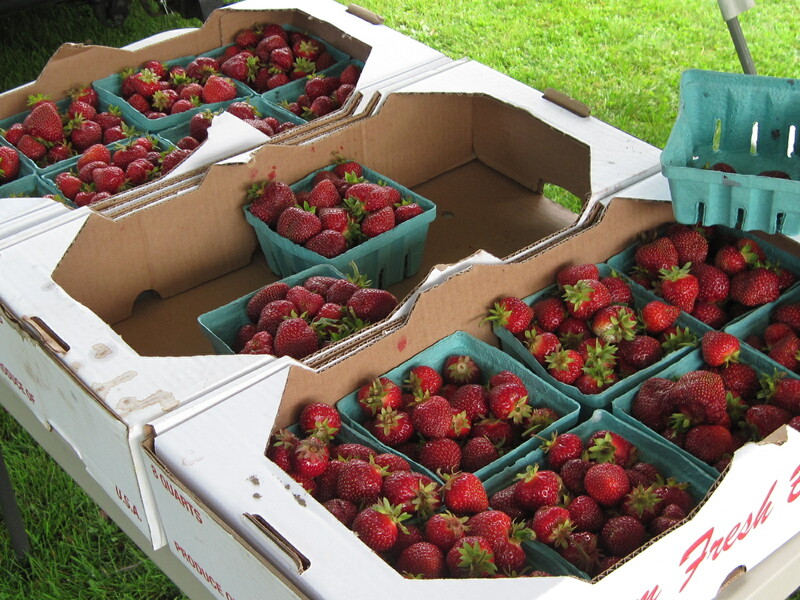 This year, Mike, Tim and Peggy Cahill are offering strawberries for sale at the Lancaster Farmers’ Market and at a farm stand at their home on Rt 2 near the Lunenburg-Guildhall line. The strawberries are big, luscious, tasty, and organic. No pesticides. The Cahills’ strawberry field is located on leased land just north of us on Route 102 in Maidstone, Vermont. The crop was started last year and this is the first yield. 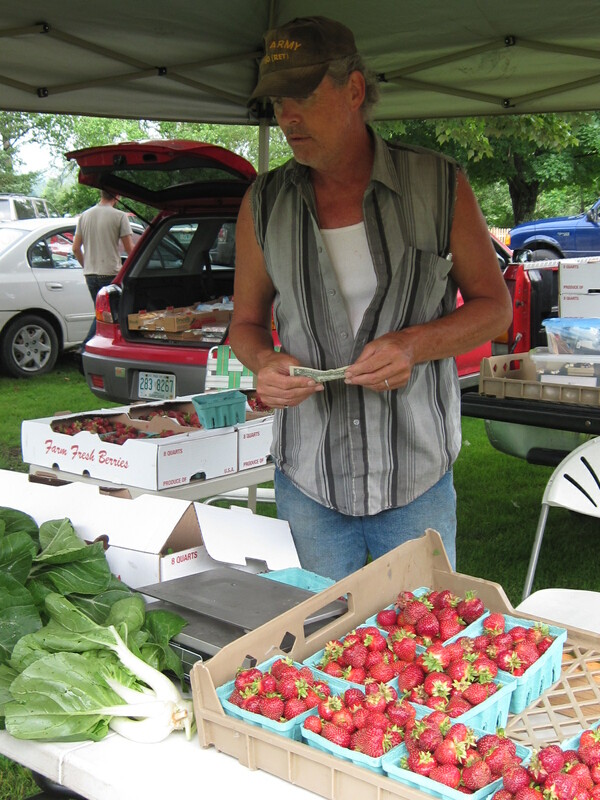 When I talked with Tim Cahill at today’s Farmers’ Market in Lancaster, he confessed that raising strawberries for sale is hard work, but worth it in the end. Although part of this year’s crop suffered some blight due to the heavy rains, 70% of the strawberry field has thrived.